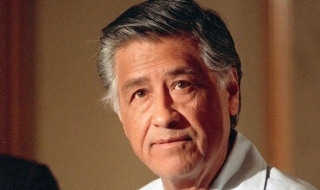 March 31 is the birthday of late civil rights icon Cesar Chavez. 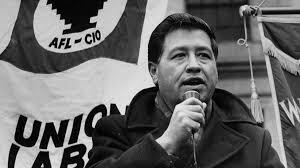 Chavez, founder of the United Farm Workers union, was a fierce opponent of illegal immigration and supporter of tight border controls. Chavez’s core insight was based on the law of supply and demand: Flooding the labor market with people from abroad undermines American workers trying to improve their lot in life. 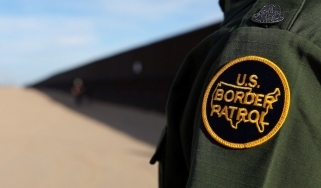 This is why it's only fitting that March 31 should be recognized each year as National Border Control Day. 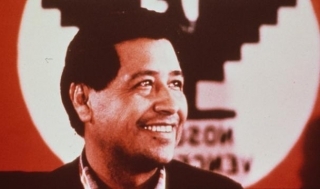 Happy birthday, Cesar Chavez! 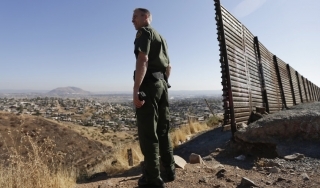 “Honor Cesar Chavez by celebrating National Border Control Day!,” Mark Krikorian, executive director of the Center for Immigration Studies, wrote in one tweet. 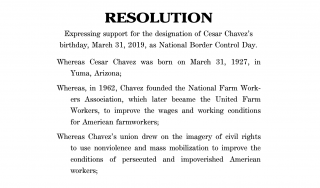 During his prime, Chavez, a third-generation American citizen from Yuma, Arizona and Navy veteran, was an American labor leader fighting against the importation of strikebreakers from Mexico. 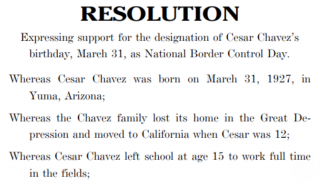 A resolution has been introduced in the House of Representatives to recognize Cesar Chavez's birthday as National Border Control Day, which "encourages the people of the United States to observe National Border Control Day with appropriate ceremonies and activities." 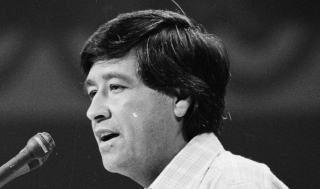 Celebrate Cesar Chavez’s true views about illegal immigration. 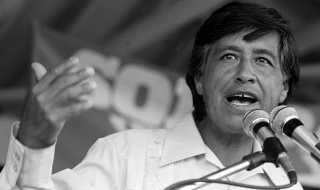 Today, Cesar Chavez’s birthday, has become Mexican Americans’ equivalent of Columbus Day for Italian Americans. It’s recognized as a holiday in certain states. Please choose your preferred e-mail update list from the drop-down menu (see descriptions of the different lists). The Center for Immigration Studies depends on generous supporters large and small to sustain its ambitious research and publication output, as well as its online presence and public outreach. 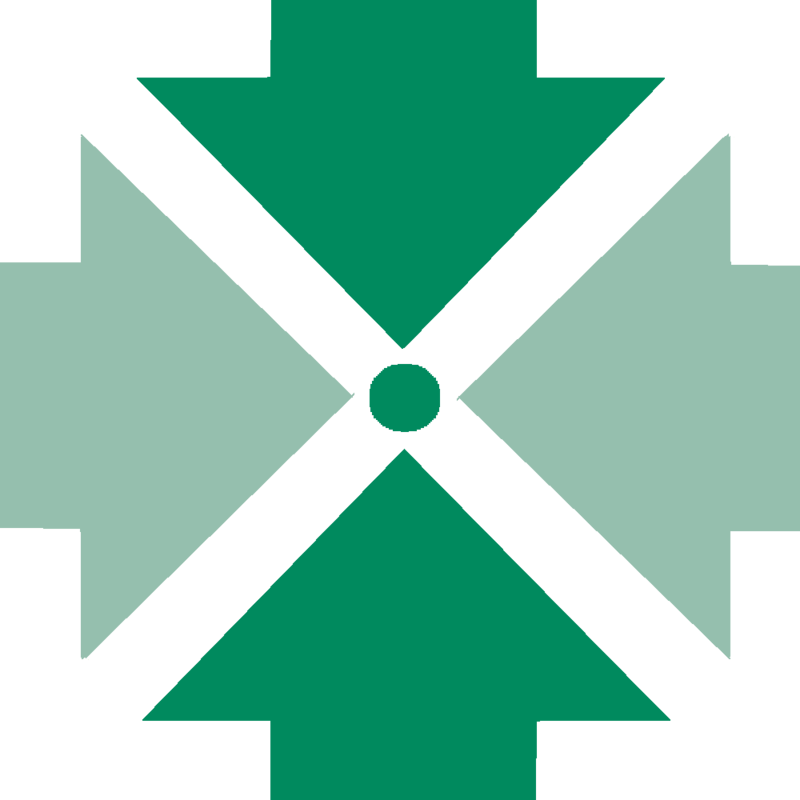 The Center is a tax-exempt educational organization as set forth in Sec. 501(c)(3) of the Internal Revenue Code, and thus contributions to the Center are tax-deductible. To make a tax-deductible donation, click here.